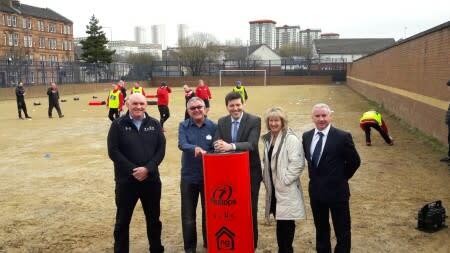 The Minister for Employability & Training, Jamie Hepburn MSP, visited ng homes’ Pitstops personal development project to see first-hand the success of the initiative. 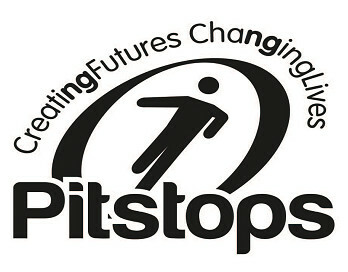 Pitstops is a Big Lottery funded partnership project between ng homes and social inclusion charity School of Hard Knocks, which uses contact sports and peer inclusion to engage with unemployed and detached members of the community. Staff on the project have overseen the personal growth and development of 55 participants over three cohorts, with the average age of participants being over 30, something which is unusual for projects of this type. The event took place on the morning of Wednesday 22nd March at the Ashfield Peugeot Stadium and those in attendance included ng homes Director of Regeneration John Devine, Pitstops Project Manager Greg Cann and Chief Executive of School of Hard Knocks Ken Cowen. Project participants and graduates also took part in a consultation group along with a brief of the project from key project staff. The eight-week personal and social development course combines physical fitness and rugby training with employability support to help participants take steps into work or other positive destinations such as higher education, volunteering and healthy living. 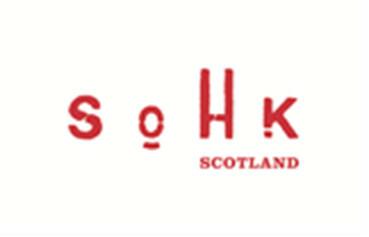 Participants can also attain the SQA Employability Award and Community Achievement Award, as well as a range of optional additional qualifications including First Aid and REHIS Health and Safety. These awards are delivered by ng homes’ Education Delivery Partner Glasgow Kelvin College. The ongoing success of the project is reflective of ng homes’ long-term commitment to regeneration, sustainability and making North Glasgow a great place to live, work, learn, visit and invest. Our vision is to create a new North Glasgow: a great place to live, learn, work, visit and invest.